Assam chief minister Sarbananda Sonowal on Sunday said that his government is committed for the safeguard of the language, culture of the indigenous people of the State. Addressing a huge public gathering on the occasion of 17th Bodoland Day celebration to mark the 17 years of BTC Accord in Kokrajhar on Sunday as chief guest, Sonowal said the BJP led coalition government in the State is committed for safeguard of the indigenous community and inclusive growth of the State. Stating that he cannot betray the people of Assam who voted him, the chief minister said the rights of the indigenous people will be protected and there will be no threat to their language and culture. He also said that ever since the BJP led Government has come to power in the State; it took several initiatives for the welfare of the local people of the State. 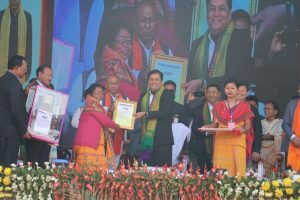 Sonowal also praised BTC chief Hagrama Mohilary saying that under his leadership, the Bodoland region has seen lots of development and peaceful atmosphere in the last 15 years of BPF government in BTAD. In his speech, the BTC chief lauded the initiative taken by the BJP government for the development of the BTAD. He said in the two and half years of BJP led coalition government in the State, the BTC region has got lots of projects which was missing in the 15 years of Congress. The BTC chief said the BPF alliance with the BJP will continue in the Lok Sabha election as well and together will work for the all-round development of the BTAD and the State. 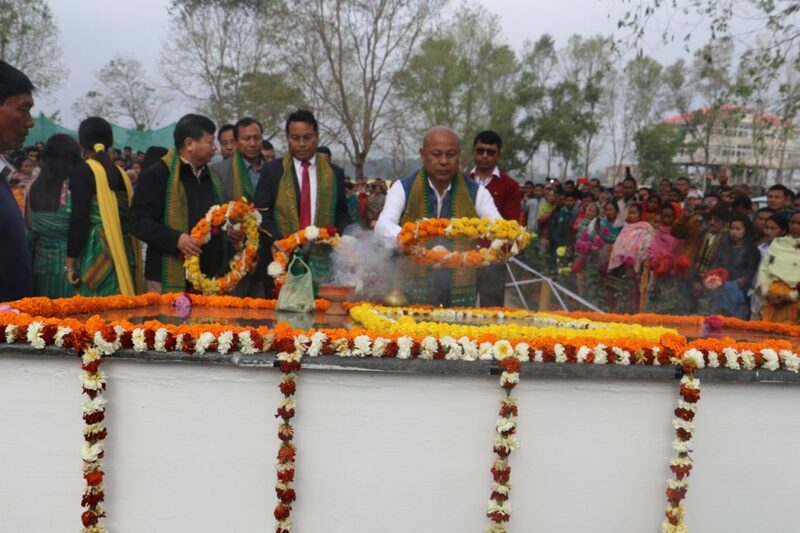 Earlier in the morning, BTC chief Hagrama Mohilary paid homage to the martyrs of Bodoland movement and paid floral tribute to the statue of Bodofa Upendra Nath Brahma in front of the BTC secretariat. The BTC authority also felicitated award winning writers, sports persons and arist who brought laurels to the region through their works. 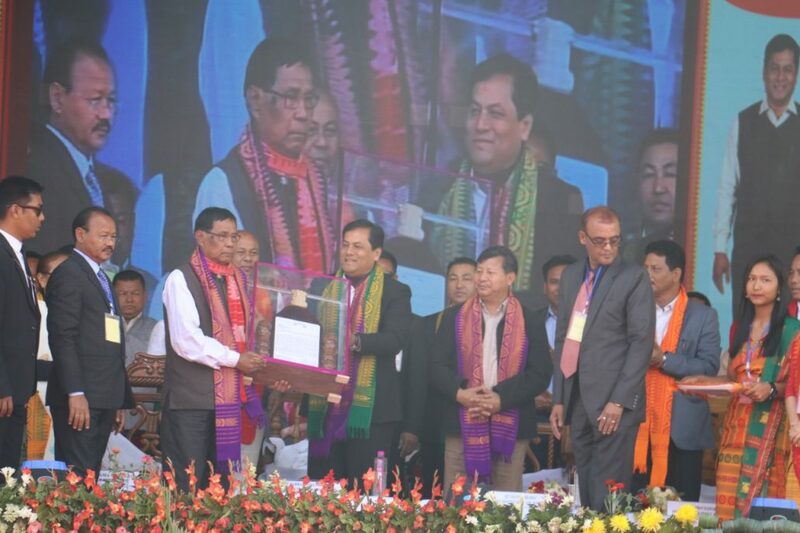 Two important awards – Promod Chandra Brahma Literary Award, 2019 and Nileswar Brahma Cultural Award, 2019 were also presented. The function was also attended among others by ministers Pramila Rani Brahma, Chandan Brahma, Rihon Daimary, Bodo Sahitya Sabha president Toren Boro, BJP spokesperson Rupam Goswami, Rajya Sabha MP Biswajit Daimary and BTC deputy chief kampa Borgoyary.